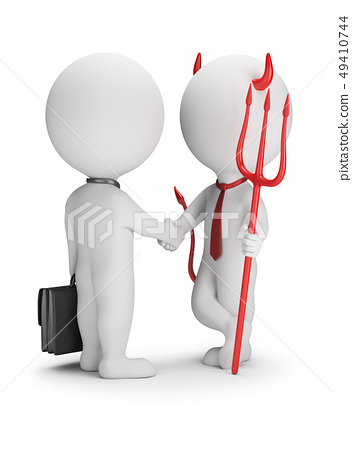 Devil with a trident makes a deal with a businessman. 3d small people. 3d image. White background.